Everyone has their own email reading habits, it seems. I have known some individuals who absolutely need to read every single email that comes through their inbox. Even their spam folder has them curious enough to check through it. They simply can’t stand to see an outstanding number next to their inbox. Others might have completely opposite habits, like those inbox zero folks. They have to read, sort and/or delete everything in their inbox. Personally, I have hundreds of unread emails in my inbox. If it isn’t from someone or something important, I won’t read it. Rarely ever do subject lines convince me enough to click on something that I know is just a newsletter or spam. These users just have email to get emails. They aren’t labeling, they don’t delete, and they certainly don’t read everything. Their inbox is a jumbled mess of unread emails from all kinds of different senders. They most likely use it as a form of additional contact with other people and they absolutely hate email from anything else. Unorganized users may not even regularly sign in unless they are expecting an email from someone. 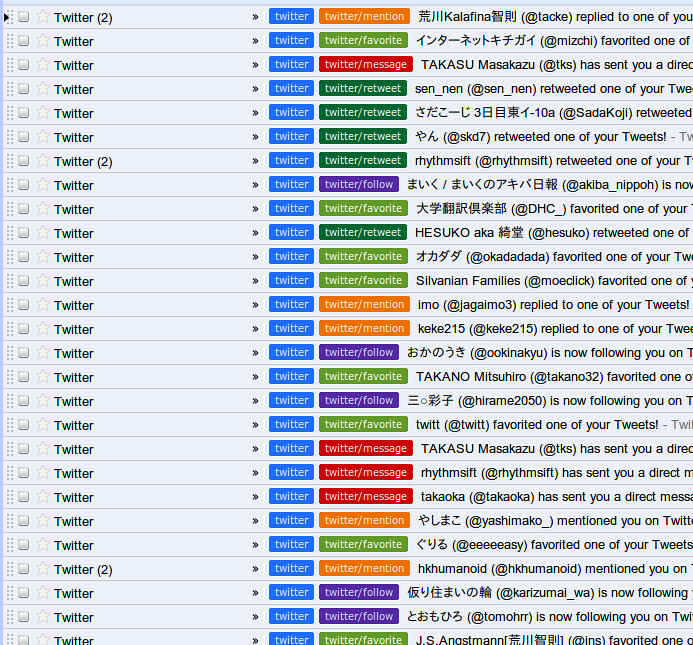 These email users are the ones that read an email and might take the time to sort each one out into labels and folders. They might take the time to go through the email if they need to discover more about whom it is from and what it is about. Email is checked regularly and they might even have multiple email addresses for different purposes. These email users typically read every email by simply opening it. They don’t necessarily read the email or do anything after that, but they might mark it as unread to signify its importance. 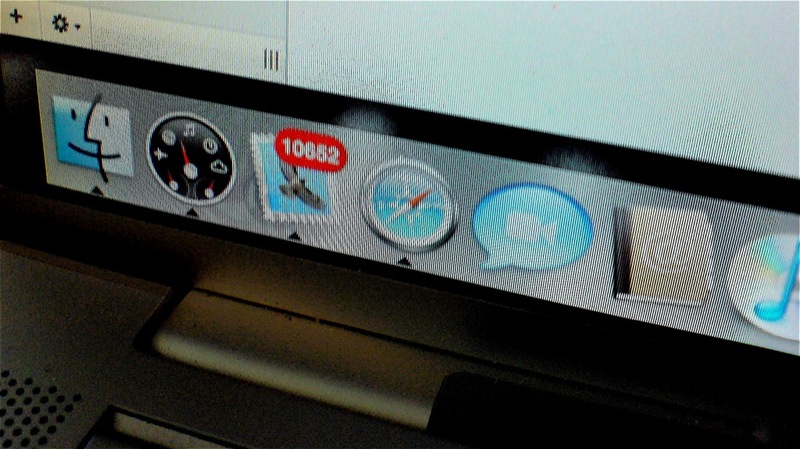 Readers simply open emails to remove that little number beside their inbox. They regularly check their email to avoid falling behind as it stresses them out to have too many unread emails in their inbox. These users actively go through their inbox and delete junk mail and anything else they don’t want to read. Anything left not deleted signifies its importance or sense of being incomplete. Emails are deleted as they are addressed or as tasks are accomplished. Deleters are similar to readers in that they get overwhelmed if there are too many emails in their inbox. This group of people regularly goes through their inboxes looking over from addresses and subject lines. Anything that catches their eye will be read, but if it doesn’t get read then its ok. They really don’t mind if they have hundreds or even thousands of unread emails listed in their inbox. If they need to find an email that they missed, they simply search for it. They regularly keep an eye on their email, but don’t need to spend much time with it since they don’t read everything. These users have it all figured out. Email is a number one priority. Each email is marked with labels and sorted in folders and archived. Filters keep primary emails front and center, while other folders house emails from predefined lists or senders. They might know all the keyboard shortcuts to do this efficiently, and they consistently keep up inbox zero. Super Users know exactly what they have subscribed to and desire to read emails from these newsletters at some point but not necessarily right away. The trouble is each of these different users’ habits makes for difficult email marketing. Good luck getting the unorganized users to open your newsletters, and have fun discovering all of your emails have been marked as spam by the Super Users. Some individuals might fit under a few of these categories, while others go back and forth between different strategies. Needless to say, there certainly are ways of reaching out to these different people to get them to open and interact with your email. For every email, there are two stages. Opened and Unopened. These are two totally different things that you need to consider when emailing your newsletters, and they both have several elements that vary in importance to different email user types. And the sender of the email. Each of these three things gives the user extremely important clues as to why they should or should not read the email. Opened stage: This includes the main message you are trying to send to the user. Opened stage is where you can attempt to keep their attention if they desire to read your entire email. The body of the email should be the main point. However, no one is going to even see that content if they don’t open the email. Equal attention needs to be given to the areas of the Unopened stage of the email just as much as the actual body content of the email. But then again, depending on the type of email user it is, they might behave differently depending on how you design the entire email. Timing is important when sending out your email newsletters, however, not to all email user types. When you send your emails, it will not be as important to those that are very organized and sort through each and every email as much as it will be to those that just occasionally look through their inbox. For the Organizers and the Super Users, they will eventually find your email and hopefully read it. However, for the Skimmers and the Unorganized, you will want to be sure that you are sending emails to them at times when they are checking their email. 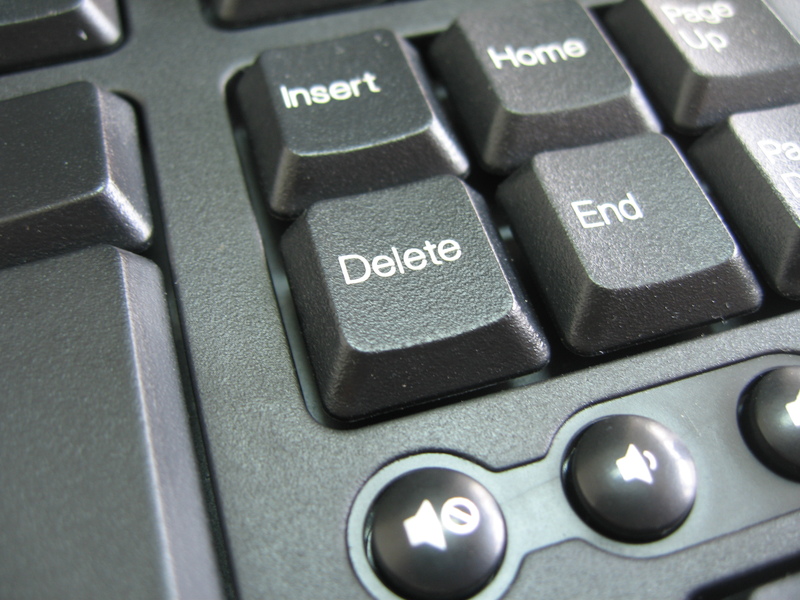 Deleters will most likely delete an older email that is not as relevant to them anymore. The closer to the top an email appears, the better chances you have of these users opening it. Read up on how to best time your emails. Typically, those power email users that know what they sign up for will recognize brands and promotions that they normally receive. Even some unorganized users know and recognize certain brands in their inbox and choose to open them. However, if it is a newsletter that a user didn’t voluntarily sign up for, ie. a free download or account signup, you may not exactly want to have the “From” field say your company name. While the @website.com will reveal who it is really from, you can still make this much more personalized. Consider when you sign up for Buffer, the social media scheduling app. Emails are sent from Joel, the CEO. Whether or not Joel actually writes all of these emails is one thing, but whenever someone gets an email from the CEO, it makes it seem a little more important. It is also much more personal. That little bit of personalization can be the difference for the Skimmers, Deleters, and the Unorganized. Those that hate company spam will think twice when they come across a From field that actually has a person’s name in it. A great example of this tactic is from President Obama himself. His email marketing team relied heavily on the use of his name to demonstrate the importance of an email. His subject lines were nearly worthless with subjects like, “Hey” or “dinner?” People enjoyed getting an email from Obama and opened it right up and clicked straight to a donation page. So much so, that his campaign earned a whopping $690 million purely through email marketing. This works. Constructing the best subject lines is an art, to say the least. You want them to be interesting and enticing enough for users to open the email. But there are a hundred different ways you can form an emails subject line. Skimmers and the unorganized might like to see some personalizations done to their emails, while the Organizers, Deleters and Super Users want to know exactly what is inside the email. If they don’t care for what is in the subject line, then they won’t open. That’s what it comes down to. A sense of curiosity is key for developing good subject lines, but you if want to learn more about how to form good subjects, read this article about headlines. Every user is different though. I once had a professor who told us to never email him unless we left the subject line blank. Only then would he open an email because he would be too curious not to see what it was about. For this area of your email, your focus might switch from “getting them interested” to “keeping them around” and “making them click.” The layout of your email should be interesting enough to get people to respond to your calls to action throughout the email. This area of the email will be extremely important for every type of email user. However, depending on how you display it will determine how the different user types interact with your email. Sometimes, certain users would prefer to have a simple text email that is just a few sentences long. Readers, Deleters and Skimmers, who need to immediately know what your email is all about, will really appreciate this. If you include a single link within that small paragraph of text, your chances of these user types giving a click will be much better. Getting your point across as quickly as possible will really yield high conversion rates among these users. Some users just don’t have the time to go through a detailed email. Those on strict schedules or CEOs that have lots to do might prefer that quick couple sentences rather than a long email with lots of detail. However, for the Organizers and the Super Users, you might want to give them a bit more meat. They most likely will know your email is coming and they will know what it is about. If they are expecting a newsletter with the latest sales from your business, then that is exactly what you should give them. Not a simple paragraph of text with a link to your shopping page. These users allow you to go deeper in detail and provide more information to click on. 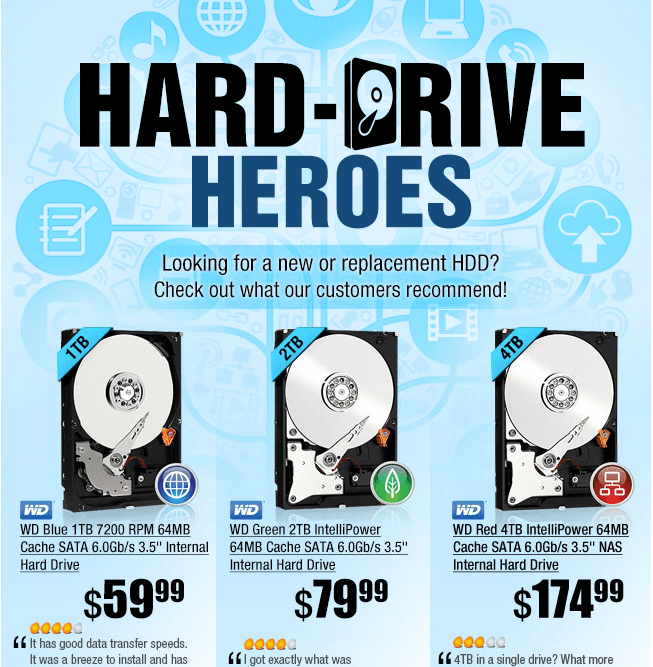 A great example of this might be a promotional sales email from Newegg. Newegg is very regular in sending these emails and they always have a list of good deals in them. Users expect this and enjoy going through the email looking for the best prices. They want more deals! You may not exactly be able to segment your subscribers into these separate user types and send them different emails. However, a healthy combination of these different tricks might yield the best results for your newsletters and promotions. After trying out a few of these different strategies, you can then gauge for what the majority user type your subscribers fit under. Overall, a one two punch of the two areas for an email designed for all different user types might be best. But you won’t know until you test your open and click rates regularly and optimize your newsletters from then on. Different audiences will react in different ways. It never hurts to try something new!